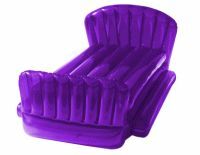 Real Cool Savings Inflatable Beds : Retro and Hip ! 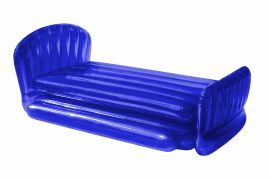 Real Cool Inflatable beds measure 80" x 50" x 20" when inflated and are made with extra thick 0.40mm material ! 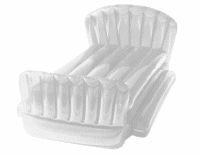 With a 400 lb weight tolerance , these beds can handle almost any situation ! Available in these cool colors: BLUE , PURPLE , and CLEAR !! !